When any page in a component is opened, the system retrieves all of the data records for the entire component and stores them in one set of record buffers called the component buffer which is organized by scroll level and then by page level. However, if we need to access data in records that are outside of the component buffer, we need to use Standalone Rowsets. 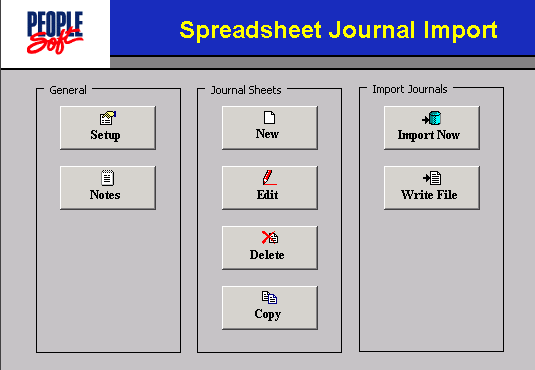 This post will take you through the steps involved in creating and manipulating data using standalone rowsets. 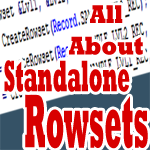 So what are Standalone Rowsets? It’s a rowset that is outside of the component buffer and not related to the component presently being processed. Since it lies outside the data buffer, we will have to write PeopleCode to perform data manipulations like insert / update / delete. We use the below PeopleCode to create a standalone rowset. With this step, the rowset is just created with similar structure to that of the record SAMPLE_RECORD. However, the rowset would be empty at this point..
Now that we have created a standalone rowset, we need to populate it with date that we need to work on. We can use the below methods to populate data into a standalone rowset. The simplest way to populate data into a standalone rowset is to use the Fill method. What the below code essentially does is, populate the standalone rowset with all rows from the SAMPLE_RECORD where the TRAINING_ID = ‘12345’. FillAppend is another method that we can use to populate a standalone rowset. This method appends the database records to the rowset starting from position of (last row + 1). Ie; it keeps the existing row intact and do not flush the rowset first like the Fill method. You can also use an SQL object instead of the where clause in the above statement. Another way to populate a standalone rowset it by using the CopyTo method. This method copies like-named fields from a source rowset to a destination rowset. To perform the copy, it uses like-named records for matching, unless specified. The below code copies the content of the above rowset &rsSAlone into &rsSAlone2. In case if we had NOT created both the above rowsets from the same record, we would have mentioned the complete record names in the fill method as shown below. The below code would copy the contents of similar fields in &rsSAlone into those in &rsSAlone2. We have seen a standalone rowset being created usign a single record. However, we can also create one using another rowset. This would be handy to setup parent-child relations. This is how this can be achieved. The above can also be written as shown below. Standalone rowsets are meant to be directly retrieved or populated from database at that point of time. And hence CreateRowset method contradicts with the GetRowset method, which in fact refers to the component buffer data. I am using the code as above to pull data from a table and then populate a grid using a derived table and fields – my derfived table has exactly the same fields that my data table has – I am getting the correct number of records returned in my grid, but the field content is blank – the data does not show up? Any suggestions would be greatly apprecaited.